LeoVegas are having a party and you are invited. The great thing is that you don’t have to bring a gift because LeoVegas has some pretty cool gifts for you! The online casino will be giving out 5000 euro every day, a couple of brand-new iPhone 7’s and truck loads of free spins. Visit LeoVegas Casino and join this awesome party! The party of all parties is here and every day from now until the 24th February you have a chance to win incredible prizes. To make sure you don’t get left out all you need to do is pick up your tickets into their daily draws. And there is so much to win, you are bound to get lucky. 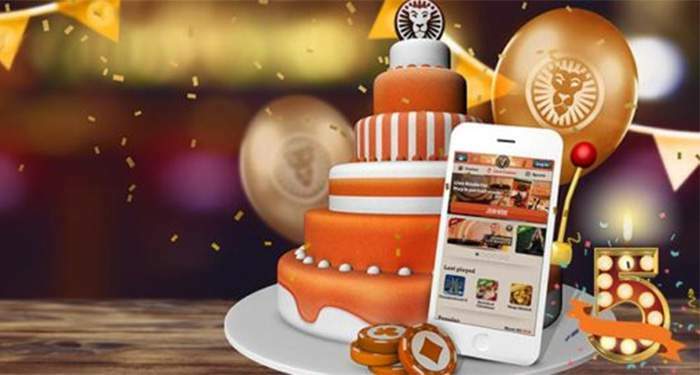 Deposit and play just €10 or more on their selected favourite casino games, online slots, in the live casino or on their sportsbook games and you are already a step closer! Simple as that! Every day LeoVegas casino will hold their daily € 5000 draw where you could be one of five lucky winners to score 1000 euro in cold hard cash. So every day you have a chance at € 1000 for only €10. If you’re name isn’t picked for a cash prize LeoVegas Casino will credit you with 5 free spins on NetEnt’s Starburst Slot. There are no losers at this party. If you play at their live casino you will also be in with the chance of picking up a free goodie bag filled with iPhone 7’s and more free spins. What do I play and when do I play it? So it is time to put on your party outfit and head over to the party at LeoVegas Casino. Good luck! Elliot1974 on Vera & John casino – the friendliest casino? Mega Moolah Jackpot passes 18 million mark!